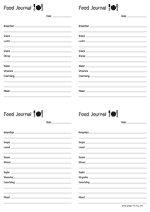 Food journal on a letter size paper in a vertical, portrait orientation. 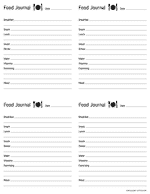 This paper provides an easy way to log your eating habits. Food journal on an A4 size paper in a vertical, portrait orientation. This paper provides an easy way to log your eating habits.